BUREAU B celebrates 2013’s Record Store Day with a series of exclusive 12" vinyl releases. Qluster (Hans-Joachim Roedelius of Harmonia, Kluster and Cluster) and Onnen Bock recorded this piece of music exclusively for the Bureau B Record Store Day 12“ Maxi! 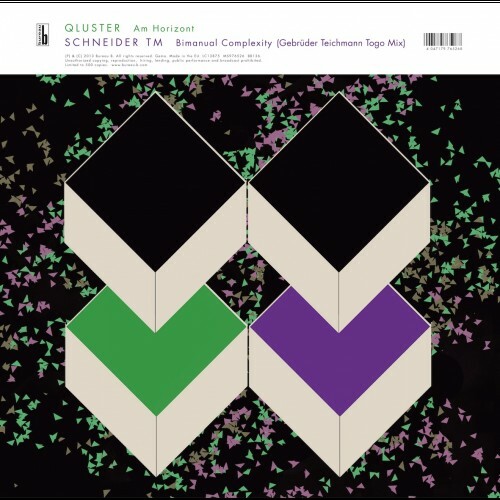 Gebrüder Teichmann (Festplatten) remixed Schneider TM’s „Bimanual Complexity“ exclusively fort his Record Store Day release.